Firstly you need to lightly toast the almonds. Just pop them into a non-stick pan on a low heat & stir them until they’re lightly toasted. A golden colour. Next place the lettuce mix into a large bowl and add to it the roughly torn chicken. Then place the apple and toasted almonds on top. In a small bowl or jug whisk together the macadamia/avocado oil, lemon juice, salt and pepper. 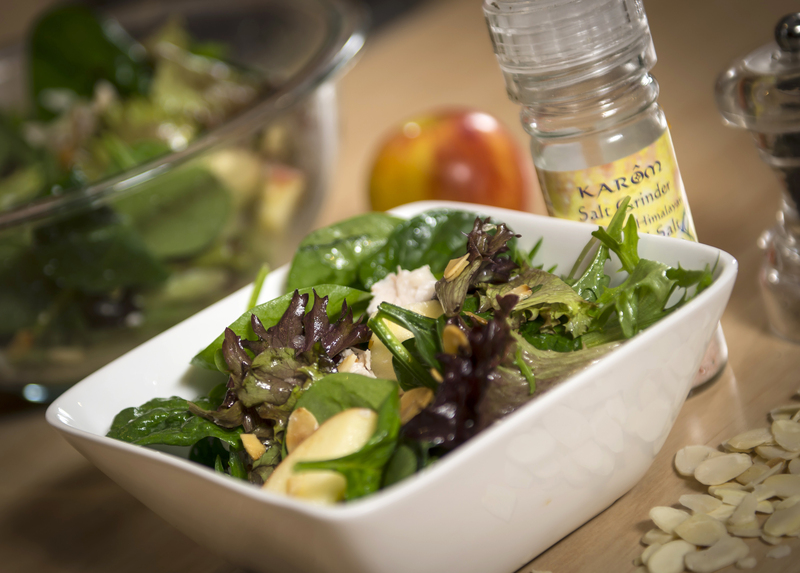 Pour this over the salad and gently mix through, giving the lettuce leaves a glossy coating. Great salad to take on a picnic with everything all in one.